At Wildlife Mississippi, we measure success by the number of acres of habitat we protect, restore or enhance and by the number of miles of streams we improve. A healthy environment makes good economic sense for Mississippi and the nation. Habitat Conservation. We protect, restore and enhance fish and wildlife habitat directly through a variety of projects on private and public lands. Conservation Policy. We promote effective conservation policies, mainly by working with elected officials and agencies to secure conservation incentives for landowners, robust wetlands mitigation programs and funding for public lands. Conservation Education. We educate Mississippians about effective conservation practices they can employ on their lands, through our quarterly magazine, a variety of landowner handbooks, workshops and other means. Outdoor Recreation. We help provide quality outdoor recreation experiences, by supporting the creation and expansion of national wildlife refuges and other public lands and by creating or enhancing public-use facilities such as boat ramps, boardwalks and community lakes. Our talented and dedicated staff work throughout the state, from the Buttahatchie River in northeastern Mississippi, to the Delta, to the Blackland Prairie, to the coast and beyond. Please consider becoming part of our work and success. It’s easy to become a member online and support our work. Contributions from individuals, corporations and foundations are essential to our success. Learn about all the ways you can support our conservation projects in Mississippi. 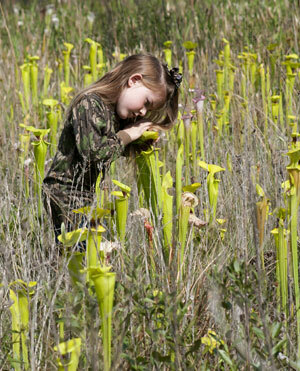 We have a lot to show for our efforts in the 20 years Wildlife Mississippi has existed. We have protected, restored or enhanced 496,000 acres of lands and waters across the state. Read more in our publications, such as our quarterly magazine. Great work lies ahead. Together, we can make Mississippi a better place to live, work and raise a family. Conservation of Mississippi’s lands, waters and natural heritage will secure the state’s quality of life by making it a better place to live, work and raise a family.